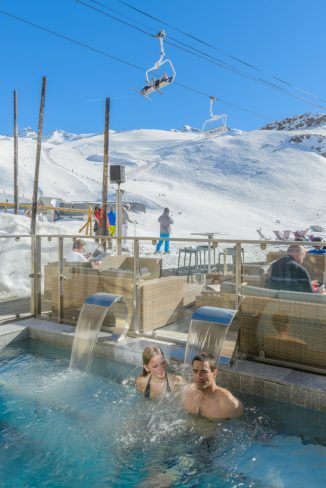 You are at:Home»Mountains of France»Alps»Discover Val Thorens, Europe’s highest ski resort! At the very end of the Belleville valley lies the stunning domain of Val Thorens. Built above the tree line, “Val Tho” or simply “VT” is surrounded by a horseshoe of majestic snow-capped peaks. Whilst driving the 35 minutes up to the station from Moûtiers, you’ll notice beautiful alpine hamlets. This valley is locally known as the ‘Vallée des Belleville‘. On arrival, the dramatic mountain scenery will impress you! From the top mountain peaks which are accessible by ski lifts in both Winter and Summer, stunning vistas await you! This resort has a huge selection of accommodation. 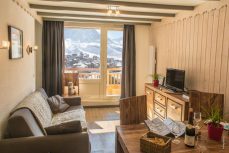 Val Thorens Immobilier (website: accommodation-val-thorens.co.uk) will be able to help you find a great holiday rental to suit your needs. 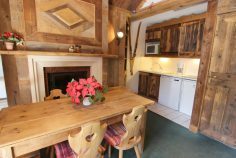 Whether you are coming alone or with family or friends there are some lovely options. It is in Winter that the ski resort shows off its full potential. If you’re fond of Winter sports and activities, no doubt VT will be heaven on earth for you! The station was purpose built to be a ski-in ski-out resort. That means you put your skis on at the entrance to your accommodation and then it’s an easy distance to the nearest ski lift. 99% of the ski domain is located at an altitude over 2,000 metres. This means good snow conditions are almost guaranteed November to May. The resort caters for all levels of skier, from beginner to expert. VT boasts 32 fast, modern ski lifts and 78 pistes of its own (total length of 140km): 11 green, 29 blue, 30 red and 8 black. 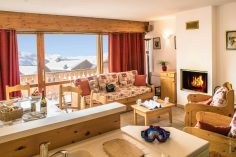 The itineraries and different ski options on the groomed slopes or off-piste are amazingly vast. It becomes breathtaking when you extend that to Les Trois Vallées! After a whole day spent skiing there’s nothing better than admiring the view of the snow-capped mountain peaks of the Vanoise massif. VT has a well-equipped sports centre. 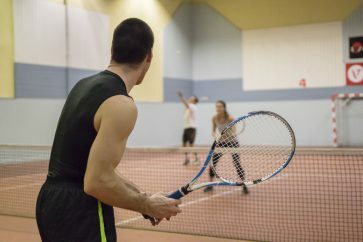 The facilities include indoor tennis, squash, badminton and football. It also includes 2 swimming pools, a gym and a spa area. Fancy something different from skiing? Then ride down the longest toboggan run in Europe. This awesome experience starts from the top of the Funitel Peclet at 3,000m high. The run is 6km long and the descent takes you back to the station over a groomed course. So much fun! Lastly, the resort has a fun park for kids, a cinema, and of course a good selections of bars and restaurants. Even in the coldest and icy Winter nights, VT is still a very active place with many parties and bars open. The ski domain of VT is part of the larger ski area of “Les Trois Vallées“. 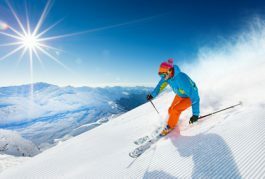 Known as the world’s largest ski area with 600 kms of ski runs, it connects three valleys: Saint-Bon, Allues and Belleville. 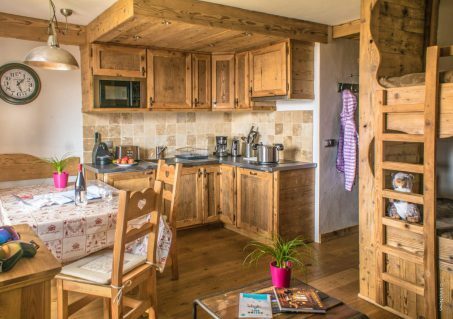 It includes 8 ski-resorts including VT, Courchevel, Méribel, Les Menuires, and Orelle in the Maurienne Valley. 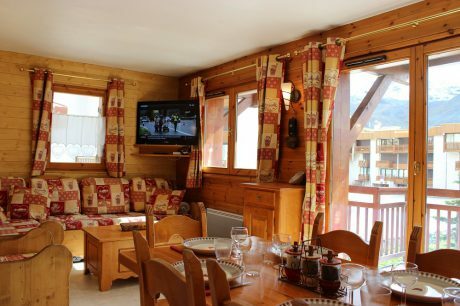 Like in many other French ski resorts, Summer is becoming a very popular season to explore the Alps. Downstream, the valley of Belleville boasts some charming alpine villages with Baroque churches worth a visit. If you’re fond of culture and heritage, don’t miss the Baroque church of Notre-Dame-de-Vie in Saint-Martin-De-Belleville (17th century). On 27 July 2019, the 20th stage of the Tour de France will ascent to Val Thorens on a promising epic mountain stage. 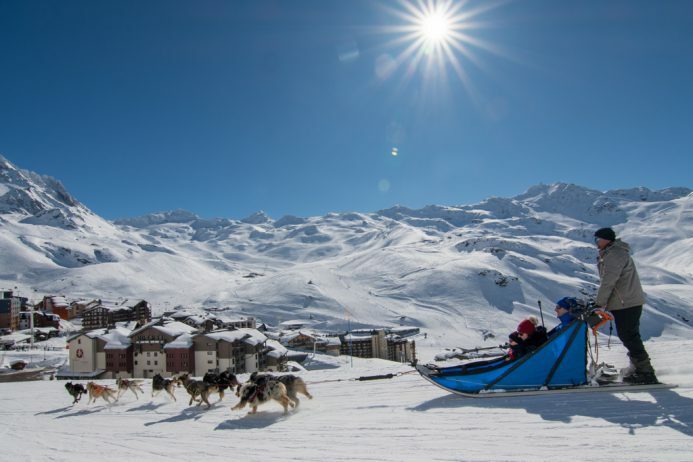 Find out more about summer activities in Val Thorens. Val Thorens: Facts and Figures! Val Thorens is the highest ski resort in Europe. The main village lies at an altitude of 2,280 m.
It was inaugurated in 1971 with 13,000 beds. Today, VT totals 25,414 beds. The station hosts 2.2 million overnight stays a year. Due to its high altitude, you can ski 170 days per year in VT. In the Winter 2018-19, the resort is open from 17th November to the 5th May. It has been awarded 4 times winner of best resort in the world, 5 times winner of the best French ski resort and 4 times winner of the best European ski resort. The average visitor age is 35 years old. The top 5 foreign visitors come from the UK (15,7%), the Netherlands (13,6%), Belgium (6,2%), Israel (3,3%), and Germany (2,7%). Car access is restricted in the resort’s centre. VT is an active resort on social media. It ranks no. 1 for the number of likes and followers in Facebook, Twitter, Instagram and YouTube. Cime de Caron: an unforgettable view of the Alps! If you’re staying in VT or exploring the region, don’t miss the 360° views from the Cime de Caron at 3,195m high. For those of you like me who are very fond of spectacular vistas, the ascent to the Cime de Caron will definitely be a highlight. The Cime de Caron offers one of the most beautiful views of the whole French Alps. Its remarkable situation between the Tarentaise and Maurienne valleys makes it an ideal place to see over more than 1,000 alpine summits, from the Mont Blanc to Monte Viso. Looking South-West: You can see from left to right the Ecrins Massif with La Meije, the Aiguilles d’Arves and the Grandes Rousses. Looking North-East: from left to right the Belleville Valley, the Mont Blanc, the Grande Casse and the massif of Péclet-Polset. Although it’s Europe’s highest ski resort at an altitude over 2,000 m, VT is easily accessible. To access VT by the road, take the dual carriageway from Albertville to Moûtiers (RN 90) and exit at Moûtiers (Exit number 41). Take the RD 117 to the station (37 kms, approximately 1hr). 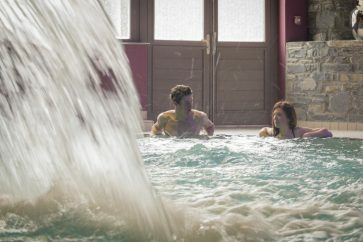 The resort is about 1 hour (37 kms) from the railway station of Moûtiers Salins Brides-les-Bains with TER (regional train to Chambéry and Aix-les-Bains). Regular shuttle-buses connect the Moutiers coach station to the Winter resorts of Les Trois Vallées (Les Menuires and VT). See below! If you have any questions about your stay in VT, visit the website of the Tourist Office. Did you like what you read about the ski resort of ‘Val Tho’? If so, share it on Facebook or Twitter! Disclaimer: This post includes a sponsored link but please note all opinions and text are our own.